If you want to use the Zoom.ai meeting scheduling features, you will need to connect to a calendar so that your assistant can help you manage it. 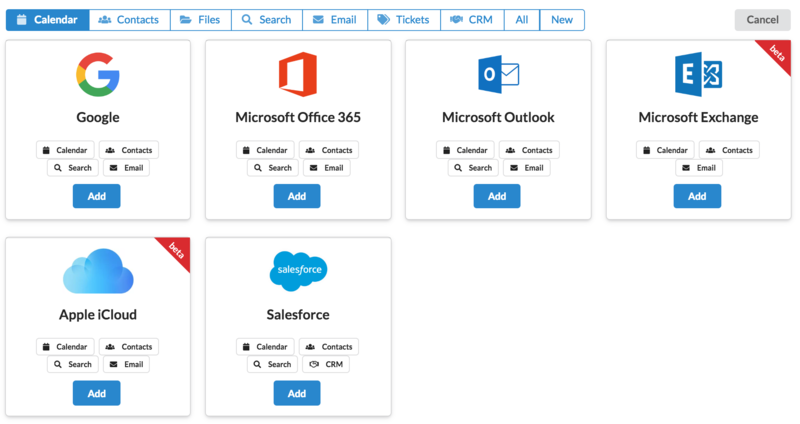 You can connect your Google, Microsoft Office 365, Outlook, Exchange, iCloud or Salesforce calendar. You can add a new calendar here: https://app.zoom.ai/settings/accounts/add.